Romanesque capital, Cuxa Cloister, The Cloisters, New York. The foliate mask or "Green Man" was a popular motif for capitals in churches across northern Europe. Wikimedia Commons has media related to Capitals (architecture). 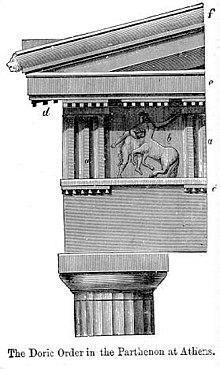 Wikisource has the text of the 1911 Encyclopædia Britannica article Capital (architecture).